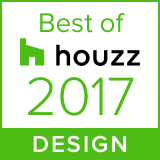 Gary Gladwish Architecture has been named as Best of Houzz 2017. We were chosen by the more than 25 million monthly unique users that comprise the Houzz community from among more than 500,000 active home building, remodeling and design industry professionals. Eagle Ridge has been featured in an article in the December January 2015 issue of Dwell magazine about design for aging in place. 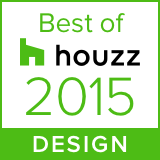 Gary Gladwish Architecture has been named as Best of Houzz 2015. We were chosen by the more than 25 million monthly unique users that comprise the Houzz community from among more than 500,000 active home building, remodeling and design industry professionals. Gary Gladwish Architecture has been named to Ocean Home magazine's inaugural Platinum List which they describe as..."a showcase of the absolute best in luxury coastal living." The American Institute of Architects has selected the Eagle Ridge Project for the 2013 AIA Housing Award. Swedish architecture magazine Nya Rum features the Eagle Ridge project in their June 2012 issue. The AIA Seattle has awarded the Eagle Ridge project with an Award of Merit in their annual Honor Awards for Washington architecture. Pacific Northwest Magazine features the Eagle Ridge project in their Spring Home Design issue 2012. AIArchitect newsletter of December 16 includes the Eagle Ridge project in a slide show of winners of the AIA Honor Awards. The Stranger Feb. 2000 mentions the 4ones project in a profile of the firm when it was known as U-Arc Studio. Arcade "Diversity in Design" Winter 2000 features the 4ones project.